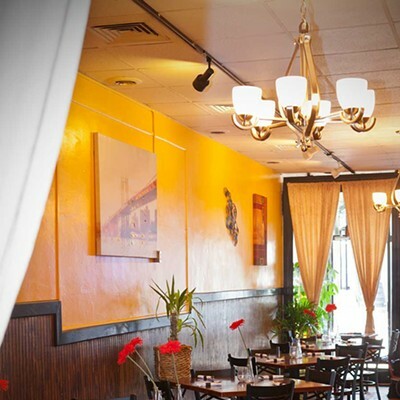 Some years ago, we enjoyed a visit to a little Middle Eastern restaurant in the near North Hills. Tyma'z was valiantly decorated on a shoestring, but the warmth of the welcome and our meal were ample. Alas, Tyma'z is no more. But it has been reborn, within the city, as Naya. Owner Radwa Ibrahim has relocated her kitchen to Murray Avenue, and in the course of doing so, has successfully reinvented the dining experience she offers. 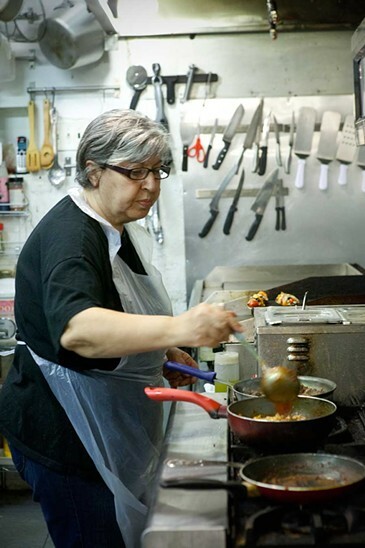 Tyma'z was "Middle Eastern" — broadly representing the cuisine of an entire region, and meeting the expectations of diners who have, for the most part, experienced it only in American restaurants. Naya, by contrast, emphasizes specifically Syrian cooking. Its authenticity should satisfy both native diners and new experience-seekers. Moreover, its menu presents fully realized entrée plates, rather than more casual, mix-and-match platters. Typically at international restaurants, we try to balance our order between the most familiar, assimilated classics and whatever novelties the menu may offer. 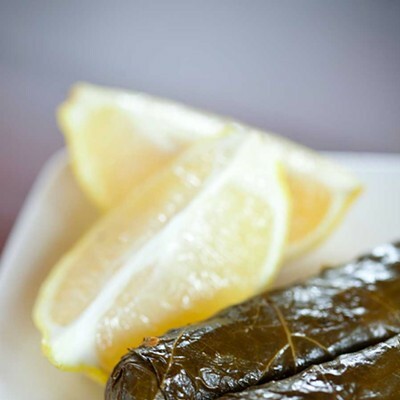 Ultimately, while there are still some Middle Eastern standards on Naya's menu, we were most tempted by the many interesting specialties of the lesser-known Syrian cuisine. The complimentary starter was warmed pita with a za'atar dip. Za'atar is a simple spice mixture heavy on thyme and sesame; drizzled liberally with olive oil, it was pretty addictive. From the appetizer menu, we also ordered a "chunky" baba ganoush, which, if not superior to many we've had, was at least their equal. Keftades, Greek meatballs, were one of the few menu items to venture outside the realm of Syrian cuisine. These were tasty in their olive-y tomato sauce and studded with briny feta, but their texture was a bit spongy, neither quite meaty nor quite tender. Moskhan, however, were superlative. Pastry-wrapped cigars similar to eggrolls, these were perfectly browned and crispy outside, and stuffed with wonderfully spiced, tender chicken inside. A drizzle of tahini added a perfect touch of nuttiness. With the delivery of our entrees, our meal got even better. 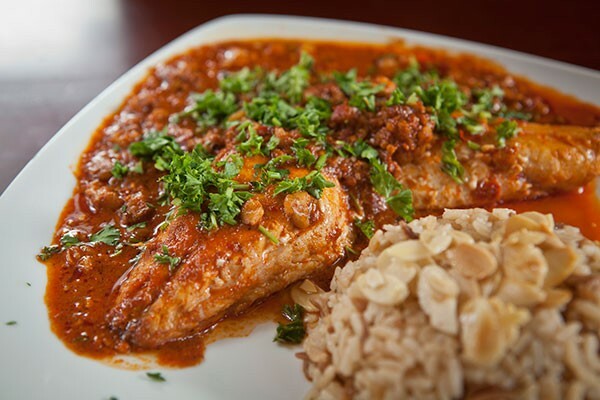 Samaka harrah, "spicy Syrian fish," was a perfectly cooked filet of snapper in a red-pepper-paste sauce spiced with coriander and garlic, and fortified with the crunchy, slightly bitter meat of crushed walnuts. Rice pilaf with slivered almonds was terrific for sopping up excess of this sauce, and the side salad was bright and crisp, accentuated with a bold sliver of green bell pepper and a simple lemon vinaigrette. Shawarma, available as beef or chicken, could have aspired no further than the ho-hum sandwich staple, but in Naya's preparation, it was a tender, spicy entrée alongside pilaf. When Ibrahim stopped by our table to inquire if we'd enjoyed our meal, we could not help asking about the recipe; of course, she demurred, but did acknowledge red-pepper paste as a component. Whatever else she's doing, she's doing right. We had two lamb dishes, and two responses to them. A dining companion ordered "lamb chops tamer," served in a gravy sweetened with dates and raisins, the fruit balanced against the charred chops in a successful interaction. But Jason's Persian lamb shank, braised in a similar sauce, seemed underseasoned beneath all that fruit. The smokiness of the sauce kept it from being unctuous, but we still thought it overwhelmed the extraordinarily tender lamb. More ardent fans of meat in fruit sauces might feel differently, however. It's worth noting that the accompanying mashed potatoes, studded with crisp morsels of caramelized onion, were an excellent side to both lamb dishes, whether this side dish was traditionally Syrian or not. Naya was an excellent guide in our exploration of Syrian cuisine. 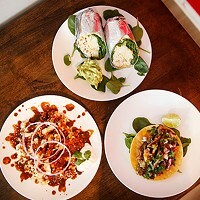 Ms. Ibrahim's previous restaurant suggested that niche's delicious potential; her new venture realizes it.